Close to 400 participants attended and supported the event raising funds and awareness as well as marking World Suicide Prevention Day. Before the event, we heard from PIPS Hope and Supports CEO - Seamus McCabe and Chair of NMDDC - Mark Murnin. Following this, we held a balloon release which was very personal to families in attendance who have been bereaved by suicide. It was great to see so many there to support our families and a great way of showing their respect was marked with a minutes silence. Thee biggest of thank you from everyone at PIPS Hope and Support to all attendees for participating, raising awareness, remembering their loved ones and supporting the Annual 10K Run and 5K Walk. Well done to our winners who claimed the top prizes with very impressive times. 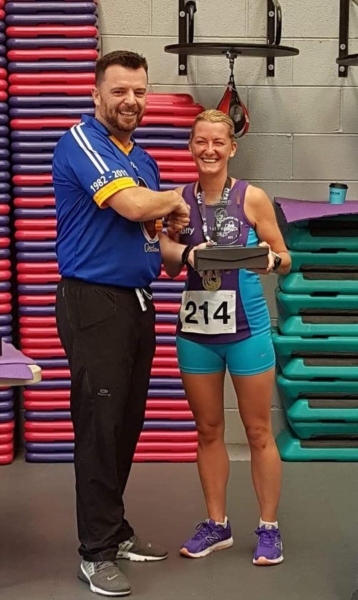 Pictured is the following winners in the Male and Female category as well as the Running Club Winners being presented with their trophies from PIPS Hope and Supports Chairperson - Ian Mallon and Fundraising Officer - Padraig Harte.